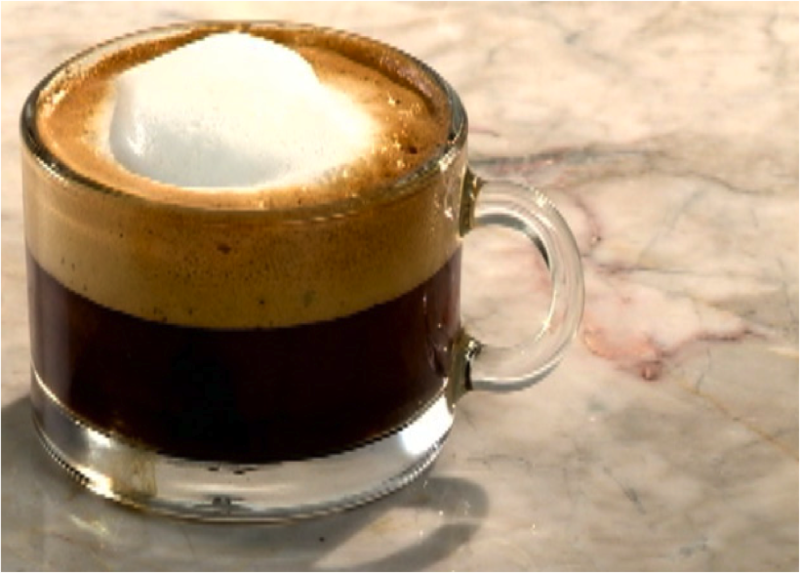 1.Start by brewing Cordoba’s Espresso Forza Traditional (can be brewed in either a Bialetti Espresso Maker or any automatic Espresso Machine) For a 8oz cup, you will need 2oz of coffee or I double shot. 2.Pour into a 6oz serving cup. 3.Pour approx. 4oz. of regular 2% milk into a separate cup . 6.Garnish with a sprinkle of coffee grinds.